The holidays are just a few weeks away and stores are now offering up different products with huge discounts and deals. Laptops are one of the most popular products this time of year, but it might not be so easy to find the best one for you. 2018 has seen a number of very interesting laptops with varying hardware specifications and purposes. Similar to previous years, laptops that offer portability and power are among the best ones to buy. 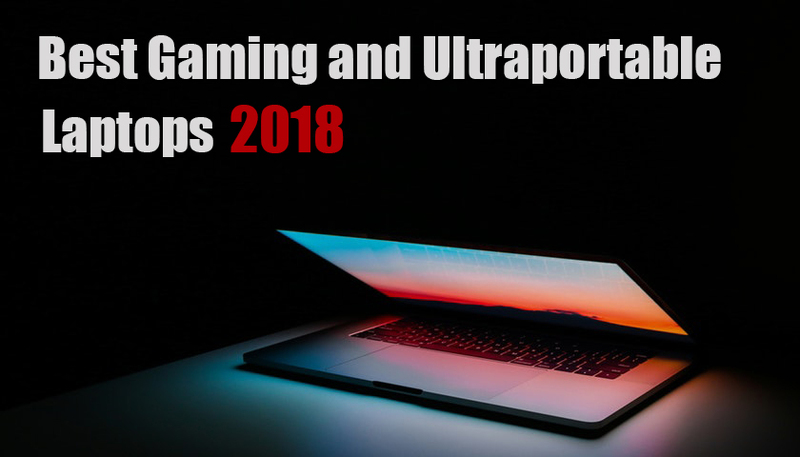 Ultrabooks and portable gaming laptops are on our list for this very reason. Each laptop on our list offers varying degrees of portability and power. Each one built for a specific purpose and a specific demography. Some laptops will be perfect for power users who are looking for a device for gaming and high-demand processing. Other laptops are perfect for budget-conscious buyers. These products are for those who are looking for a device that can do simple tasks without being too expensive. In this list, we have included laptops that can do basically do it all and are reasonably affordable. There are also laptops on our list that are the pinnacle of technology and are simply the best in the market. There are currently a number of popular form factors in the laptop market. This includes 2-in-1s, convertible laptops, and gaming laptops. We have included the very best products in each category, which should make it easy to find the best products suited for their needs. 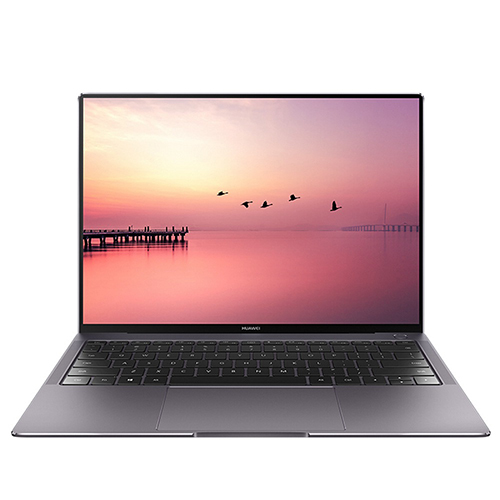 The Huawei MateBook X Pro is one of the best laptops in 2018. This laptop has a unique and beautiful design with the world’s best screen to body ratio. It also sports the very best mobile computing tech, which results in amazing overall performance. Huawei produced the MateBook X Pro as a direct response to the Dell XPS 13. Overall it is a formidable competitor in terms of its design, performance, and value. The laptop is a sleeper hit this year as it provides professional and regular consumers with both form and function. In terms of design, the laptop feels premium with its aluminum unibody design and diamond-cut edges. It has a sandblasted finish that makes it feel absolutely expensive. One of the highlights of the MateBook X Pro is its 13.9-inch IPS touchscreen display. The screen features the company’s Full View design language, which results in an amazing 91-percent screen to body ratio. This is thanks to the laptop’s incredibly thin 4.4mm bezels surrounding the display. The screen is adequately bright and has great viewing angles. These are all wrapped in a sleek and thin package that is a pleasure to bring around and use. Inside, the laptop sports the latest and greatest hardware. This includes a choice between either an 8th generation Intel Core i5-8250U or an Intel Core i7-8550U processor. While not really a gaming GPU, the built-in Nvidia GeForce MX150 graphics processor is more than capable. The built-in NVMePCIe SSD storage drives also ensure that programs run extremely fast and without any problems. Making things run faster is the laptop’s 16GB of LPDDR3 RAM running at 2133MHz. The MateBook X Pro’s battery life is also one of the longest lasting in the market. The 57.4Wh battery lasts up to 8 hours on a single charge. The Huawei MateBook X Pro is arguably the best laptop available in 2018. It outperforms its rivals, even those that cost significantly more. Despite its top-end hardware specifications, the laptop is still competitively priced. This makes it reachable to a wide number of consumers. The Swift 3 is Acer’s budget option. Despite its low price, the laptop offers quite a lot of high-end components. It has stellar battery life, a myriad of ports, and a great trackpad and keyboard combo. 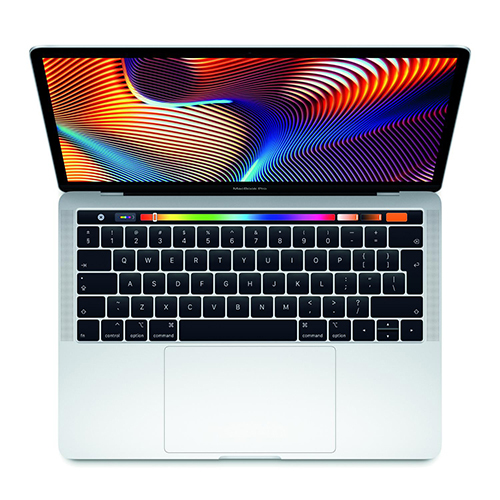 Among the different laptop offerings from Apple, the 2018 MacBook Pro with Touch Bar still remains to be the best option. It comes with some beefed up hardware, especially when you go for the 15-inch model. However, the 13-inch version seems to be the sweet spot when it comes to power and portability. Those who simply cannot migrate to a Microsoft Windows environment will likely want to consider getting the 2018 MacBook Pro. It is currently the best Apple laptop to get in terms of getting the most performance and value. It goes without saying that the laptop still comes with the same sleek and ultra-modern design as its predecessors. In fact, it is almost identical to last year’s model in size and weight. Apple also didn’t change the laptop’s screen, as it is still the same Retina Display found on last year’s model. While other manufacturers are offering higher resolution screens, Apple likely didn’t see the need to upgrade. Their 13.3-inch IPS display retains the same 2560×1600 pixel resolution. Its P3 wide color gamut is still impressive even until today and is perfect for photographers and graphic artists. Apple has added one bit of technology, which it brought over from the iPhone X and the latest iPad Pro. The new 2018 MacBook Pro with Touch Bar now comes with the company’s True Tone feature. The latest MacBook Pro still uses the same DDR3 RAM as last year’s model, which means that it still maxes out at 16GB. However, thanks to its updated CPU and slightly better GPU, the laptop is still quite zippy and responsive. Most users will likely not find any problems with doing moderate to heavy tasks on this powerful computer. Keeping the laptop up to date will also greatly help in improving its performance. Battery life is significantly better on the newer model. This is thanks to the built-in 8th generation CPU, which consumes less power. Average users should get at least 10 hours of use from the laptop on a single charge. The latest 13-inch MacBook Pro with Touch Bar offers a number of expected improvements that increase its capabilities. For macOS fans, the 13-inch version should offer the perfect balance of portability and great performance. 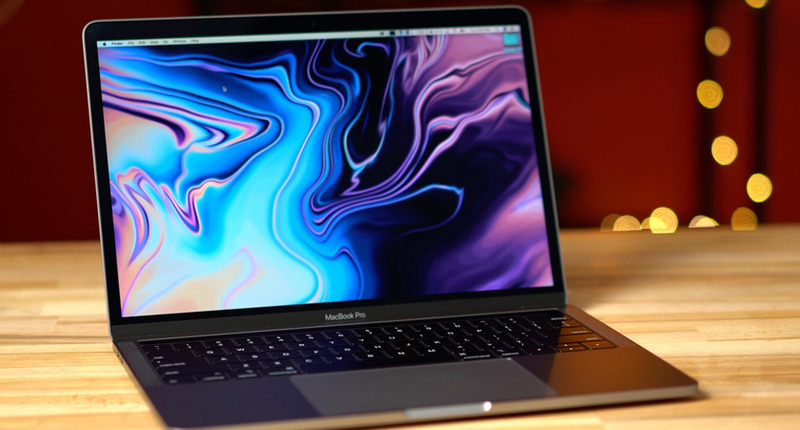 Unless Apple comes out with an updated version, the 2018 13-inch model is the best MacBook Pro to get this year. Unlike other dedicated gaming laptops, the MSI GS65 is not over the top when it comes to its size and design. This means that it functions as both a portable workstation and as an extreme gaming computer. The laptop sports cutting-edge components packed in a subtle but sleek design. 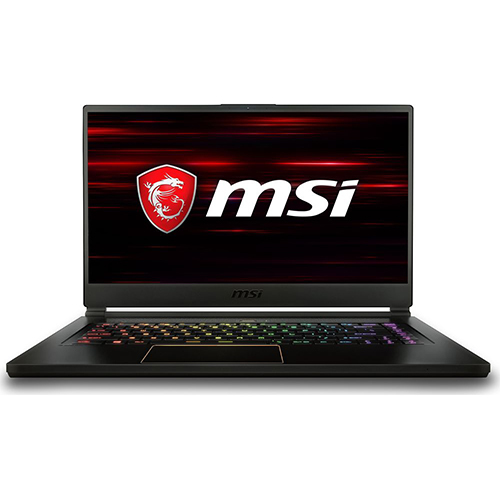 MSI’s latest thin and light gaming laptop, the MSI gS65, is a sure winner for 2018. The gaming laptop sports the best mobile computer hardware available today. All of the components are inside a sturdy and sleek casing that is both stylish and portable. The 14-inch device is capable of both high-end gaming and intensive productivity work. The laptop is also competitive in terms of pricing, making it one of the best deals around. MSI’s flagship thin and light gaming laptop doesn’t have a lot of flashy LEDs and design cues. Instead, the device sports an all-black design with subtle gold accents. This makes it look like a premium laptop instead of a dedicated gaming device. 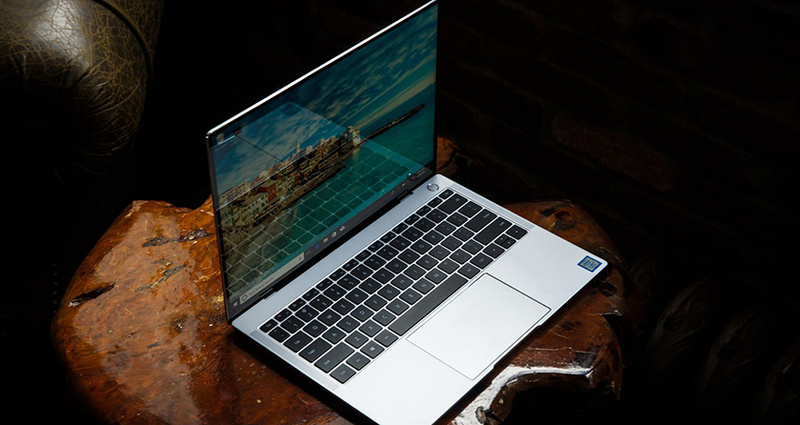 The laptop features an 82 percent screen-to-body ration with bezels that are just 4.9mm wide. Thanks to the ultra-thin bezels, MSI was able to place a 15.6-inch display inside a 14-inch enclosure. The display features an impressive 144Hz refresh rate. 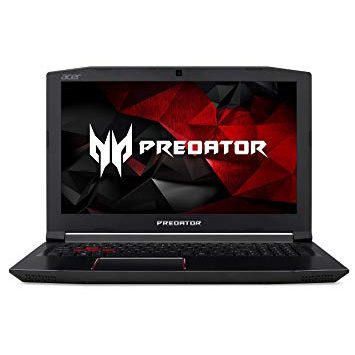 This is perfect for gamers as it produces less screen tearing and latencies during an action-packed scene. Despite having a dedicated Nvidia GeForce GTX 1070 GPU, the laptop’s battery is quite impressive. The battery lasts up to eight hours during regular use and four hours when gaming. These figures are way better than the majority of the other gaming laptops out there. The improved battery life is mostly thanks to the laptop’s built-in 8th Generation Intel Core i7-8750H 3.9GHz CPU. The upgraded processor is both powerful and efficient. There are however some sacrifices made to lessen the laptop’s price. For one, the laptop doesn’t have a fingerprint scanner. Its audio performance is also subpar. However, a good pair of headphones or third-party speakers can easily solve this problem. 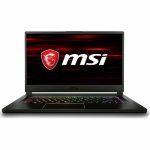 Due to its great value and the sheer number of high-end components it sports, the MSI GS65 is currently the best gaming laptop you can buy in 2018. It even beats Asus’ ROG Zephyrus GX501 and the Inspiron 15 7000 in terms of design and value for money. The Helios 300 is a budget gaming laptop. There are no qualms about that. While Acer has cut some corners, this laptop is still quite the performer. Acer made sure that it spent its money on the components that matter, namely the CPU, GPU, and display. Samsung has pushed the envelope of the 2-in-1 laptop form factor with its latest Notebook 9 Pro laptop. The ultra stylish all-metal laptop sports the company’s greatest technologies. This includes its effective S-Pen and touchscreen combo and its Air Command software. Samsung’s new Notebook 9 Pro laptop closely resembles the company’s smartphone construction style. The laptop sports a uniform and sleek design built with a carbon-colored and silver metals all around. The backlit keyboard is spacious and should be a pleasure to use even during long typing sessions. 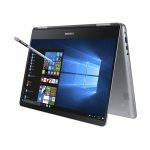 What sets the Notebook 9 Pro from other laptops its ability to use the S-Pen for Windows. The laptop even has a slot at the bottom to house the battery-less stylus. The stylus also features up to 4,096 levels of pressure sensitivity as well as tilt controls. Users can use the stylus with the built-in Air Command function. This works with several commands, including Smart Select, Show Window, and Create Note. In terms of performance, the Notebook 9 Pro is quite capable thanks to some top-end hardware. The laptop sports a 7th generation Core i7 processor and a built-in AMD GPU. The laptop also sports 16GB of DDR4 memory, which is perfect for multitasking. Gamers can use the device to play low to moderate games without problems. However, it may have issues with more demanding games. The 15-inch touchscreen panel, unfortunately, doesn’t have a 4K resolution. However, the full HD screen is more than sufficient for media consumption and graphics work. The device also sports a number of security features. This includes facial login via Windows Hello and a built-in fingerprint sensor. The Samsung Notebook 9 Pro is a great value laptop that performs better than the MacBook Pro. Despite possessing better hardware specifications, the laptop is cheaper than it direct competitors. Microsoft has really outdone themselves this time with the latest Surface Book. The 2-in-1 laptop is more than capable of playing the latest PC games. It can also become the best tablet for graphic artists and media producers. It also has stellar battery life, which allows it to last the whole day. The latest update to Microsoft’s flagship 2-in-1 laptop is definitely a worthy sequel. It simply makes other laptops look inferior and cheap in comparison. The laptop also has the advantage of being able to transform into a dedicated tablet. This essentially makes it two devices in one. The Microsoft Surface Book 2 sports a completely new design. Microsoft has taken heed of customer gripes and has drastically changed its external looks. The company also changed the hinge mechanism to make it more reliable. The device sports a brushed aluminum exterior, which makes it look absolutely premium. The overall package is thin and light. With the screen detached from the keyboard base, it becomes one of the lightest tablets in the market. Under the hood, the Microsoft Surface Book 2 features the latest and greatest hardware available. This includes the potent pairing of an 8th generation Core i7 processor and a 6GB GTX1060 GPU. The laptop also has an ample 16GB of RAM, which makes it whiz through multiple tasks without any issues. The laptop’s screen is also quite impressive. It beats most of its competitor’s displays short of those with 4K resolution panels. Where the screen really shines is its ability to work with the Microsoft Surface Pen. Drawing on the screen with the stylus is lag-free and is sure to be a hit with artists and media creators. The Surface Book 2 features a stellar battery life despite having top-end components. During moderate use, the 2-in-1 device can last more than 7 hours on a single charge. 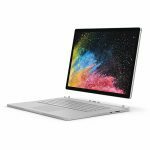 The Microsoft Surface Book 2 is a powerful device that is a workstation, a gaming laptop, and an artist’s tablet rolled into one. Using it with a stylus is a great experience. A lot of engineering went into the creation of this device. This is apparent in its amazing performance and impeccable design.